Mahesh Somashekhar is an Assistant Professor of Sociology at the University of Illinois-Chicago. His research agenda concerns how retail growth and decline affect local neighborhoods, communities, and labor markets. More specifically, he studies the effects of retail change on communities in the context of immigrant entrepreneurship, gentrification, and health disparities. He is currently working on two projects. The first uses data on millions of retailers in the United States from the 1990s to the 2010s in order to gauge how retail development due to gentrification may exacerbate income inequality, racial segregation, and health disparities in cities. The second investigates the entrepreneurship patterns of undocumented immigrants in the United States. While it is illegal to employ undocumented immigrants, it is legal for undocumented immigrants to own businesses in the formal economy. Nevertheless, little is known about how firms owned by undocumented immigrants influence economic development and socioeconomic mobility trends. 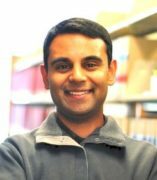 Somashekhar’s research has been published in journals including Social Problems, the Journal of Ethnic and Migration Studies, and Social Science Quarterly. His research recently won an award from the Business Geography Specialty Group of the American Association of Geographers. Prior to joining UIC, Somashekhar was a Postdoctoral Research Associate at the University of Washington. He earned a PhD and an MA from Princeton University as well as a BS from Columbia University. More about his background and research can be found on his website, http://www.maheshsomashekhar.com.